Toronto is one of the most popular places to visit in all of Canada. There are plenty of things to do in the city, and there are also some great campgrounds to enjoy in the area. Many people want to visit this city and get themselves an RV rental in Toronto so they can truly explore and enjoy what it has to offer. Those who are restricted to one hotel aren’t going to be able to see as much as someone who can travel freely in their own RV. This is one of the main reasons people prefer to find an RV for rent when they are making plans to visit the city. Those who are thinking about getting an RV rental in Toronto are probably wondering where they can park the vehicle and what the best places to check out are. We have put together a list of the best places to check out while visiting the area so you can easily create your travel itinerary. Indian Line is one of the best places to take an RV rental in Toronto because they are located close to Downtown Toronto, and there are also plenty of other places in the nearby area that visitors love to investigate. Wild Water Kingdom and Black Creek Pioneer Village are both a short distance away, and they provide tons of fun for families and friends alike. The campground is also a great place to park an RV because they have large, pull-through sites where people can take a big RV rental in Toronto. 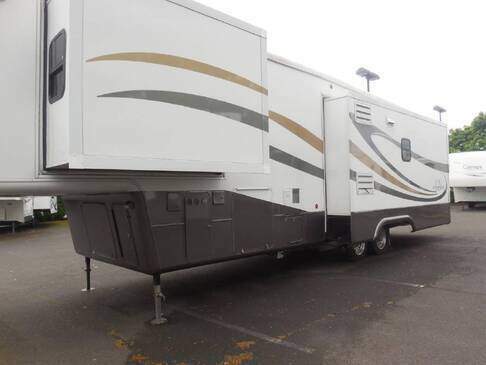 This is great for some people because there are many who prefer to have as big of a camper as possible while they are on vacation. Also, having a large RV allows people to have their own privacy when taking a shower and using the bathroom; many people are uncomfortable using the public places during their vacation stay. The Altona Forest is close to Indian Line and provides some beautiful scenery for those who enjoy Mother Nature. People can walk along the trails and take pictures of the amazing flora and fauna found there. However, this area is considered environmentally sensitive, which means that biking and flower picking are not permitted there. Be sure to exercise caution and respect when traveling through the forest. This is one of the top places to take an RV rental in Toronto for someone who loves spending time outdoors. The stars are very bright here, and the campground is located near the edge of the main part of Toronto. There are also plenty of unique plants to be found in this area, which is one of the major reasons people take their RV here to spend time on vacation. The park was originally created to protect the unique plant life in the area, and it’s mandatory that the guests respect the natural beauty and don’t contribute to the pollution in the area. In addition to seeing beautiful plants and animals, the landscape near Glen Rouge is also breathtaking, to say the least. People can look at the land and easily see how water has changed its shape over the years. There are plenty of rivers and streams, and the trees and mountains are beautiful to look at. There are also dozens of unique rock formations to look at, and many of them are accessible to the public. People who are looking to spend time in the wilderness are going to absolutely love getting an RV rental in Toronto and taking it to Glen Rouge. Another popular place to take an RV is Gulliver’s Lake RV Resort. This location seems like it’s in the remote part of Canada, but it’s actually not. There are plenty of things to do at the campground, and there are always people around who are enjoying the outdoors. People can be found at Gulliver’s Lake all year round, no matter what the weather outside is like. There are fun things to do there, from paddle boating and swimming to fishing and relaxing. The park itself is also large, and the 14km lake provides many watersports for those who are staying at Gulliver’s Lake. Also, there are local scuba diving classes that use the lake as a place to train and provide people with certifications, so those who are looking to get their scuba diving license can do so while they are on vacation. The floating docks and platforms will also provide tons of fun for those who want to spend time in the water. Those who are thinking about getting a rental RV and spending time in Canada need to make sure they stop by Gulliver’s Lake for a few nights. These are just a few of the main places that people like to take their RV rental when they are visiting Canada. Toronto isn’t the only place where people camp out either, Ontario and Vancouver also provide a number of excellent campgrounds. People can rent an RV and travel all across the country to visit the most popular campsites Canada has to offer. When visiting Canada for a vacation, though, it’s important to be sure that you have the right RV to take on your trip. You don’t want to get a smaller vehicle if you plan on spending a month in the country. This is why Campanda offers so many different RVs to choose from. We have everything from smaller ones that you can pull with your truck, to larger ones that you can drive on your own. All of them can be used for plenty of different things, and we also offer exceptional customer service to ensure that your vacation is as smooth as possible. There’s no need to think about buying an RV to go on vacation when you can easily and affordably rent one from us. Think about all of the amazing adventures you can have in Canada when you get the right RV rental from Campanda! 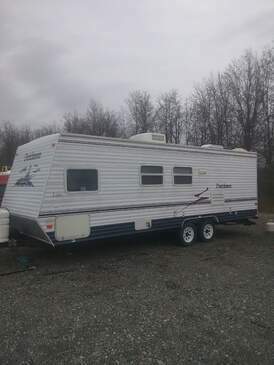 Want to look at more RVs? Check out our motorhomes and trailers in Edmonton, Montreal and the entire province of Ontario.